The Metropolitan League Championship Series (MLCS) is the best-of-seven annual championship series that determines the winning team of the Metropolitan League (ML). The winning team advances to play the winner of the Lake League (LL) Championship Series (LLCS) in the Bull Cup Championship Series, the Bull League's playoff championship series. Each year, the names of the teams and the series results are inscribed on the Metropolitan League Championship Trophy. From 1991 to 2006, the division title winners for the two ML divisions, the ML East and the ML West, competed in the MLCS. Since 2007, there have also been wild card teams in the playoffs. 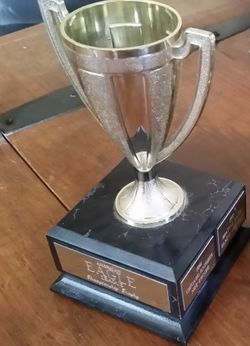 The two ML division champions, and the top two teams in the ML after the two division champions advance to the playoffs and play in a best-of-five Elimination Round, from which two teams advance to the AELCS. The first AEL Championship series took place in 1991 between the Chicago Knights, who were victorious, and the Nevada Speeders. Chicago were the AEL East division champions, and they won the series over the AEL West division champion Speeders in 4 games (3-1). There was no series in 1992, as the league selected the championship team based on the standings at the conclusion of the short season. The Seattle Salts were the AEL team that was the highest ranked in the standings, and went on to represent the AEL at the Bull Cup championships. The league's Modern Era began in 1995 with the expansion to 16 teams and the schedule expanded to 80 games. The Richmond Ravens took the first two modern era AEL championships, in 1995 and 1996. They were the runner-up in the next two years, losing to Calgary in 1997, and Nevada in 1998. The first series sweep occurred in 1999, when Calgary swept the San Diego Seagulls, who were in their first AEL championship appearance. However, Nevada was the dominant team in the AEL early on, earning all six of their titles between 1998 and 2009. Their only losing appearance came in 2007, against the Ravens. In 2019, with the expansion of the regular schedule to the traditional 162 games, the series was extended from a best-of-five to a best-of-seven. Teams in Italics have folded or left the league. ↑ 1991-1993 Stats. Bull League website. http://bullleague.org/archives/. Accessed: 8 April 2017. ↑ Bull Baseball League: History Index. BNN. http://bullleague.org/public_html/bull-league/reports/html/history/league_100_index.html. Accessed: 8 April 2017.